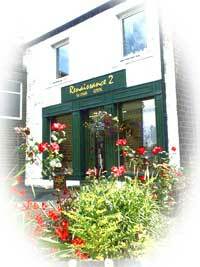 The Renaissance2 retail business, including picture framing, fine art and photo printing and the picture gallery, is located in the village of Golcar near Huddersfield in Yorkshire. You will receive a friendly welcome from Diane and Martin Sample who are always happy to give you advice or assistance on your picture framing, printing or art-buying needs. We also deal with internet orders here so if you buy online you can be sure that you are in safe hands.